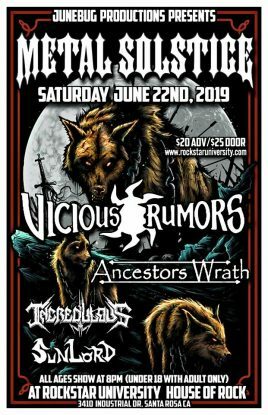 Events Vicious Rumors Metal Solstice Featuring Vicious Rumors, Ancestors Wrath , Sun Lord And Incredulous!Metal Solstice Featuring Vicious Rumors, Ancestors Wrath , Sun Lord And Incredulous! Metal Solstice featuring Vicious Rumors, Ancestors Wrath , Sun Lord and Incredulous! This will be a heart pounding night of Metal you won’t want to miss! 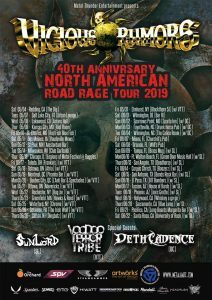 Vicious Rumors closes out their World Tour right where it all began 40 years ago! 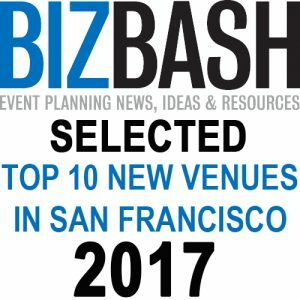 Santa Rosa!!! They’ll be joined by some of the areas top metal bands Ancestors Wrath, Sun Lord and Incredulous!